Send Gifts to Pakistan | Flowers to Pakistan | Online Gifts. Welcome to 786gifts.com. Send gifts to Pakistan from our large collection of quality gifts. 786gifts.com is one of the oldest and most trusted online website for sending gifts to Pakistan from all around the globe. We not only deliver gifts to your loved ones in Pakistan, but "we deliver your sentiments". We are the Premier Pakistani online gifts and shopping network. 786 shops are a symbol of quality for sending gifts to Pakistan. 786gifts.com is your one-stop Pakistani gifts and shopping web site. All gifts are delivered with the assurance of quality. Send gifts from USA, UK, Europe and the rest of the world. Our gifts network is based on the Islamic values of caring, loving and to spreading peace. We are one of oldest and well known online gift shop for Pakistan having thousands of satisfied customers worldwide. All items purchased at our website are gift wrapped and are delivered with a customized greeting card from you to your recipient. We only ship quality gifts, so don't hesitate and send gifts to Pakistan from our large catalog of gifts. We ship to all major cities like Lahore Pakistan, Karachi Pakistan, Rawalpindi, Islamabad, Peshawar, and Multan. Send Flowers to Pakistan. 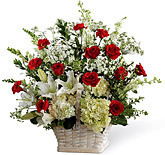 If you wish to send flowers to Pakistan, then you have arrived at the right website. Send fresh flowers to Pakistan as a gift to your relatives and friends. Fresh flowers are delivered to Lahore, Karachi, Rawalpindi, Islamabad, Peshawar, and Multan. We have special flower bouquets and baskets for Lahore and Karachi. Our flowers are arranged in a special manner so that the receivers feel special on getting our bouquets and flowers baskets. Send Cakes to Pakistan. Cakes are considered as gifts that are suitable for any occasion. Our gift shop has a large variety of fresh cakes from five-star hotels and bakeries of high reputation. Cakes are available in many flavors like black forest, pineapple, chocolate cake, cheese, fruit, coffee, cameral fudge and more. Send fresh cakes to Pakistan as a gift to your relatives and friends. The gift of Mithai to Pakistan. Mithai is a great gift for all occasions and you would surely love our mithai, it is the sweetest item and it definitely represents our culture. Pakistani Mithai is famous for its taste and freshness. It will add to the happiness of your relatives and make them remember you for a long time. Mithai is taken from famous mithae shops in Pakistan like Qasr-e-shereen, bandu khan, rehmat-shereen, Marriott hotels and other sources of high reputation. Arabian Delights have a rich sweet taste of the Arab world. Arabian Delight sweets are the only center in Pakistan manufacturing the finest tasting and nourishing sweets of the Arab world.